Perry Creek Woodworking has been building custom cabinets and furniture for over ten years, since 2002. In 2011 a customer came to us with some exotic wood slabs that he wanted tables made out of and we have been hooked on slab tables ever since. 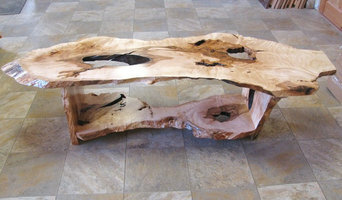 We are always looking for new and intriguing slabs to make tables out of. It is interesting how some slabs just “speak to you” and you know exactly what you are going to make out of it. Though we are still building custom cabinets, slab furniture has become our passion. “Where quality and customer Satisfaction is our Priority.” In 1996 Bill Laway started Charlevoix Glass after working for many different glass companies, he wanted to start a company where customers are friends. Where quality and service are a must. 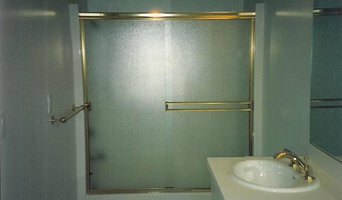 In 2006, he expanded the business where he purchased Twin Bay Glass' building after they closed. Bill has over 25 years of experience. If you can dream, he can make it! Tilestone Imports brings the world's finest tiles and stones directly from the manufacturer to you. Our extensive inventory includes our beautiful permanent collections to facilitate your projects as well as "end runs" and closeouts that are unbeatable values. We also stock all tile installation systems, tools, all grout colors, sealers and cleaners. Our products are also available through your contractor, designer, architect, and selected tile and flooring stores. We invite new account inquiries. Solid granite, marble, limestone and onyx surfaces can be purchased directly from Stratus Marble & Granite, or through your contractor, designer, architect, and selected kitchen & bath shops. We welcome you to stop in...to look, to browse, and to have all your questions about tile & stone answered. You are always assured of seeing the latest fashion trends, as well as classics that have endured since ancient times. We love tile & stone and want to pass our passion for these materials in all their many varieties on to you. At TC Tops, we offer a full range of counter top and surface choices for your home and more! Planning your new home or next construction project can be fun. Creating your living space with the highest quality materials makes a statement about who you are. Working with a company that can guide you through the sea of choices and details can make all the difference in what the end result will be. That's where we come in. At Traverse City Tops, you will be professionally guided through the selection process and given education about all material choices available that fit your budget and taste. There are pros and cons to every type of surface. The education you receive with us will ensure that your choice is one that will suit your individual tastes & lifestyle. 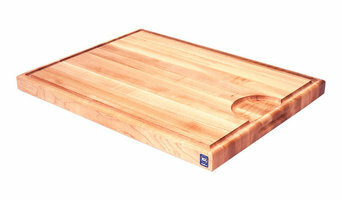 Use the Houzz Professionals listings to find Petoskey, MI kitchen and bath accessory vendors. Don’t rule out asking a kitchen manufacturer’s design team for help, too. Skills often can be overlapped to save you time and money! Here are some related professionals and vendors to complement the work of kitchen & bath fixtures: Kitchen & Bath Designers, Kitchen & Bath Remodelers, Interior Designers & Decorators, Cabinets & Cabinetry. Find kitchen and bath fixtures and accessories, plus installation experts, on Houzz. 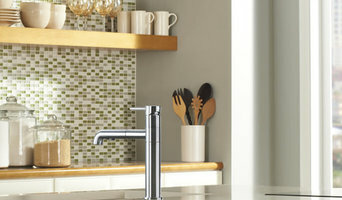 Check out Michigan kitchen products and installers, and bath plumbing products and installers, on Houzz. You can also look through project photos provided by Petoskey, MI renovators, retailers and designers.